Cuban American tenor, Andres Acosta, begins the 2017 season with his final Master’s recital at the Jacobs School of Music, where he studied with acclaimed soprano, Carol Vaness. Andres will spend his summer as a part of the Merola Opera Program and will make his San Francisco debut as a part of the Scwabacher Concert. He will also cover Ramiro in Rossini’s La Cenerentola and perform on the Grand Finale Concert. He will then be a Resident Artist with Minnesota Opera as a part of their 2017-2018 season. Andres begins the season at Minnesota Opera by covering Ernesto in Donizetti’s Don Pasquale. He will then perform the role of Don Basilio in Mozart’s Marriage of Figaro. Next he will cover the Duke and perform the role of Borsa in Verdi’s Rigoletto. Andres closes the season at Minnesota opera covering the role of Nicias in Massenet’s Thaïs. Andres has been asked to return to Minnesota opera to portray the role of Timothy in Gregory Spears’ new opera, Fellow Travelers in June 2017. 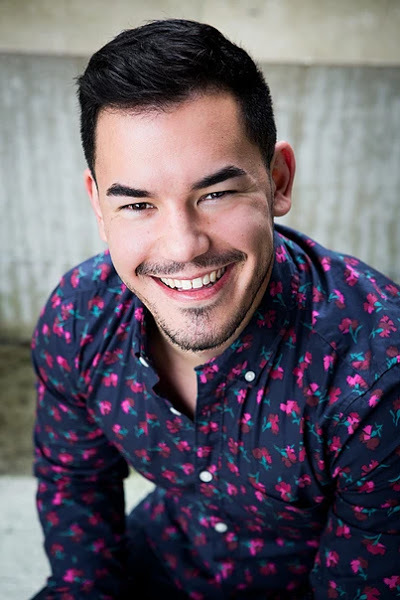 Andres’ repertoire includes Aracdio in Florencia en el Amazonas, Alfred in Die Fledermaus, Fernando in Cosí fan tutte, Don Ottavio in Don Giovanni, and Sam Kaplan in Street Scene. So far in 2017, Andres received an Encouragement award as a Central Regional finalist for the Metropolitan Opera National Council competition, he won second place in the Dorothy Lincoln-Smith competition, and he won first place in the National Society of Arts and Letters-Bloomington Chapter competition. Andres was awarded the Judy George Junior Young Artist First Prize Award in the 2015 Young Patronesses of the Arts competition and is recognized as a Brautlecht Estate Endowed and Music Guild Scholar. Andres completed his Bachelor’s of Arts degree at Florida State University where he studied with David Okerlund.